Purchasing a condo in Florida can be exciting, and sometimes overwhelming all at the same time. If you have never bought a condo in Florida before, there could be a few differences from your area. You might find the following items helpful during your search and overall decision-making process. My experience regarding condos equates to over 21 years experience and over 2,100 properties sold. I can safely attest that not all condo buildings are created equal. I would like to share with you my knowledge of buying a condo in Florida. Knowing what to expect, and questions to ask will enable you to find the perfect condo and glide effortlessly through the process. A condo is basically how the legal description of the property is recorded. Buying a condo comes with the understanding that there is shared space. If you are in a building with multiple units, you basically own the air space between the walls and ceilings of your unit. You have common walls and grounds that you share with the other unit owners. Not all condos are located in high rise buildings, some can be freestanding units as well. That is why looking at the legal description is important. The legal description can be found on the tax record or on the Multiple Listing Sheet (MLS). Normally a condo legal description in Florida will look something similar to this: Paradise Yacht Club, Building A, Unit 101. A unit owner shares common space with the other owners. For instance, the lobby, the swimming pool, laundry facilities and clubhouse are owned by everyone. This is all considered common grounds and should be accessible to every unit owner. Plus, part of your condo dues goes to the maintenance and insurance of the common grounds as well. Because you share the space, if something needs to be repaired, such as the swimming pool, every owner has to pay a percentage of the repair. 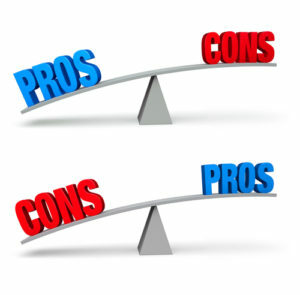 Asking about the legal description first will determine quite a few things, for instance, your financing is different in a condo vs townhouse or single family home. Most condo developments have a set of recorded rules and conditions that restrict a homeowner’s use and define common areas. More commonly referred to as covenants, the intent was to establish uniformity and order within the community. I don’t know who said this, “without rules there is anarchy” but I think it’s applicable to condo ownership. If you choose to own a condo, there will be rules to follow. Can you imagine a shared space where everyone gets to do what they want, whenever they want? Some of the rules you can expect will be regarding pets, the time when work can start in your unit and rental requirements. Some of the rules you may not like and some it will seem the association overlooks. Selective enforcement of condo rules is a big no-no and most condo boards will not allow it. The state of Florida within the past few years have tightened the laws pertaining to condo boards and their actions regarding governance. It might be in your best interest to ask a few neighbors their opinion of living in the building you are considering. You know those unhappy people will be the first ones to talk. Check Google and Yelp for reviews of the building, including the professional condo management company, if there is one. When you purchase a condo in Florida, the real estate sales contract addendum, specifically referred to as the Condo Rider, will allow you to receive and to review the condo rules and budget. It is also a good idea to ask for a copy of the last set of minutes from the board meeting. Reading the minutes will allow you a glimpse inside the board, how they function and any impending improvements that may require an assessment. Just like owning a single-family home, there are benefits and demands of that particular property. The same goes for owning a condo. Before you buy a condo, consider the benefits vs the liabilities. Condos require less maintenance: Owning a condo in Florida, especially if you live out of state, can be beneficial in terms of the amount of maintenance that you will be required to do. If you want to get away and enjoy the sunshine without a huge work list every time you come to visit, then maybe having a condo is just what you need. Lack of Privacy: A lack of privacy can be especially true if you live in a building with a doorman, or a gated community. I once lived in a beachside condo that had a security guard and a doorman which required guests to be called in (including the pizza delivery). As a single woman, I loved the security of living in that building, but at times felt that the whole world knew that I had a terrible habit of ordering pizza. I really didn’t notice my neighbors too much, it was a very large building on the water so people pretty much minded their own business. But you do give up some privacy when you share common space. Shared Expenses: Owning a condo means that every unit owner carries some liability regarding repairs of the common areas, as well as the structures overall. In some areas of Florida (Dade and Broward County) the state requires a 40-year re-certification of the building. The 40-year inspection of the building is to ensure the building is fit to withstand hurricanes and is structurally sound. Part of the 40-year inspection includes reviewing the balconies, electrical systems, and elevators. I truly have not seen in my 11 years of selling real estate in Miami a building that completed all those major repairs without assessing the owners. As of this writing, these are the only 2 counties have the 40-year certification requirement. 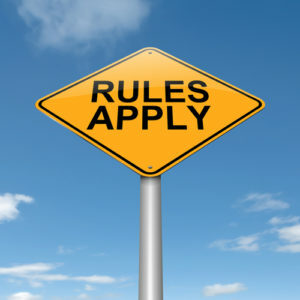 You Must Follow the Rules: The Covenants, Conditions, and Rules as mentioned earlier will be enforced by the condo board or management company. You will be glad they are there if the unit above you decides to have a dance party at 3 AM. However, if owning a pet is important to you and your building does not allow it, you cannot have one. If you are looking to buy a condo in Florida to use and rent out while you are away, you need to look at demand, rental rates, and building rules. 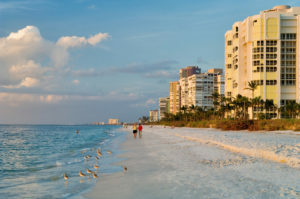 Certain areas, like Anna Maria Island or Amelia Island, have a high demand by tourists and therefore renting your unit may be easier, and the restrictions of the building may be a little more lenient than areas such as Miami. Some buildings have rental restrictions that allow you to rent your unit, but only after a period of ownership. For instance, I have seen condo restrictions that will allow one-year rentals but only after a person has owned the unit for two years. You May Be Interested in the Article: What are Seller’s Closing Costs in Florida? Although the condo building may allow rentals, check the rules for the minimum length of stay. Most condo buildings that allow rentals will not tolerate daily rentals. And some may even require your tenant to be approved by the association before they will allow occupancy. If your building has that approval restriction and you do not follow it, they do have the right to evict the tenant, and fine you for breaking the rules. Some condos can look like townhomes or as mentioned earlier single-family homes. But owning a condo is different in terms of maintenance, fees, and insurance than a townhome. A townhome can be governed by an association with common areas, similar to a condo and some will even require the fees to cover all the roofing like a condo might. The biggest difference is going to be in two things, ownership of the land beneath your feet and insurance. A true townhome will have a legal description that reads quite like a single-family home, however, most will include common areas with the legal description. So, a townhome legal description will typically look like this one in Florida, townhomes of paradise, lot 1 blk 2, common areas of x and part of y &z. Insurance on a townhome will also be different than a condo. In a condo, the majority of the insurance is paid for by the association. Typically, a condo unit owner pays insurance for personal content and perhaps water damage, but not for the structure itself. With a townhome, the association may carry some structural coverage, especially if the townhomes are attached. However, a townhome owner may be required to carry additional insurance on the structure and perhaps an independent flood policy if located in a flood zone. I owned a townhome in Florida for several years, I had to pay for structural coverage, content and flood insurance. That policy was very similar to what a single-family homeowner would pay. Maintenance responsibility for a townhome vs a condo can be different as well. Some townhomes require the owner to maintain the roof and exterior. While other townhome developments just require the owner to maintain the patio, walkway, and flowerbeds leading up to their property. Check the covenants for the requirements. Every person thinking about buying a condo should know what a condo questionnaire entails. A condo questionnaire is a two-page set of questions that evaluate the financial stability of the building, look at the number of delinquent condo owners (who are not paying dues), foreclosures, the number of units owned by one person or corporation, the reserves of the building, and the number of units that are being rented. That is not all of the questions found in the questionnaire, there are also questions pertaining to lawsuits. The condo questionnaire is used as part of the financing to help the mortgage lender determine risk. The greater the risk, the more money they will require as your down payment. Even if you are looking to purchase a condo and pay cash, paying for a questionnaire might be a good thing to help you determine if the building is solvent and managed properly. 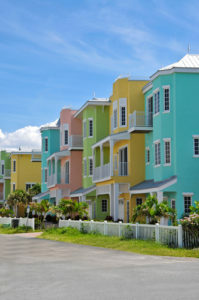 Financing a condo purchase in Florida may be a little different than most states. Since the last real estate crisis, buying a condo in Florida with a mortgage comes with a set of lending requirements. The largest requirement by far is the amount of money required for the down payment. Since most mortgages are sold to Fannie Mae or Freddie Mac, an examination of the condo questionnaire is required for a loan approval. The main loan requirement has to do the down payment and the condo questionnaire. If the condo development fails any of the questions found in the questionnaire, you must put a minimum of 25% down (owner occupant) or 30% (vacation residence or investment). Most condo developments in Florida cannot pass the questionnaire. This is especially true in vacation/resort locations where there is a higher percentage of non-owner occupants or the units are rented. 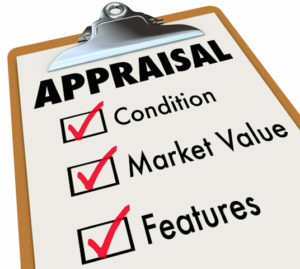 Failing the questionnaire isn’t always a bad thing, is just lets the lender know the potential risk. Most lenders keep a condo list of buildings that can pass the questionnaire, so ask your lender if they have a list. Do NOT fall for the lender encouraging you to go shop for a condo and then wait and see if underwriting will accept the questionnaire with a lesser down payment. I cannot tell you how many times I have heard this from lenders as well as other real estate agents. Beware, you could lose a lot of time and maybe money if your selected condo building doesn’t pass and you do not have the additional down payment funds. You can always ask your real estate agent to check with the listing agent to see if they know about financing in the building. Or pay for a questionnaire up front, before you write your offer. As of this writing, there are a few mortgage lenders that do allow less than a 25% down payment and still avoid the full condo questionnaire, however, you must have a strong credit score. Ask if your selected lender has this product. I have two lenders that do originate this type of loan for condos in Florida. Trying to figure out where to purchase a condo in Florida can be challenging, especially if you are not very familiar with different areas of the state. A few things to consider as part of your purchase criteria might be what is the primary use of the condo, your budget, maintenance fees, proximity to airports, ease of beach access, and cultural events in the area. I have lived and sold real estate on both sides of south Florida. There are a few common truths to both sides. Beachfront property will be more expensive, maintenance fees will be higher and traffic will be heavy during peak season. Your ability to rent the unit if you wish to will be limited or restricted altogether in the Miami area. The west coast of Florida such as Sarasota, or the barrier island of Anna Maria has wonderful beaches, and you will find your ability to rent your condo unit fairly easy. Weather: South Florida is warmer than the north during the winter season. 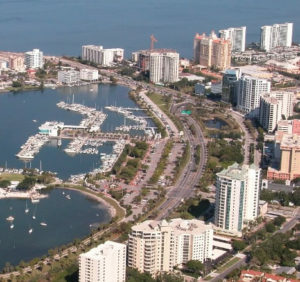 I have lived in Miami and I currently live in the Sarasota area. During the summer, both areas are consistent with temperature. However, in the winter, there seems to be about a 7-10 degree difference with Miami being slightly warmer. If you go north of Sarasota, you will see an even larger variance in temperature during the winter months. Expenses: Larger cities usually have higher taxes, higher price as well as condo dues. However, you have more things to do, cultural events and access to airports with flights. Consider pulling up Yelp for restaurants, service providers, as well as Trip Advisor for things to do in the area that you are considering. Most communities have their own website and will post an event calendar. You may not want to be active all the time, but knowing your options is a good idea. Purchasing a condo in Florida can be a great experience, especially if you prepared with the right questions and know what to expect during the purchasing process. Browse condos for sale in Bradenton by selecting a price range below. Get the inside scoop of buying a condo in Florida. Learn how to get the best financing for condos, look at where to buy a condo in Florida & understand the difference between condos & townhomes.